Blues soaking up the sun! $2,000 Blues is a Knockout!!! Have you ever just lusted after a male since he was a juvie? WE HAVE! 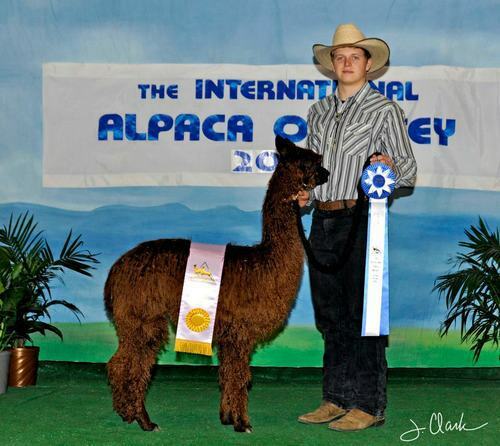 Have you ever watched his every move in the show ring and wished you had one just like him? WE HAVE! We always say when opportunity knocks, open the door........well we practically broke it off its hinges! 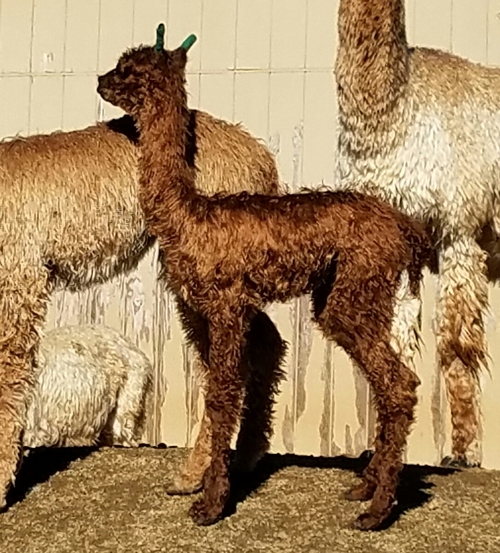 Scott and I are so excited to introduce our newest herdsire to our stud row... "BLUEGRASS PERUVIAN RHYTHM & BLUES", ARI#31364645. 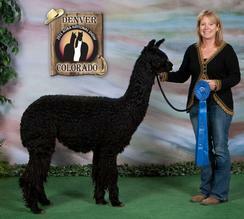 We thank Heart and Soul Alpacas & Spinnery for allowing us to Co-Own this beautiful male with them . 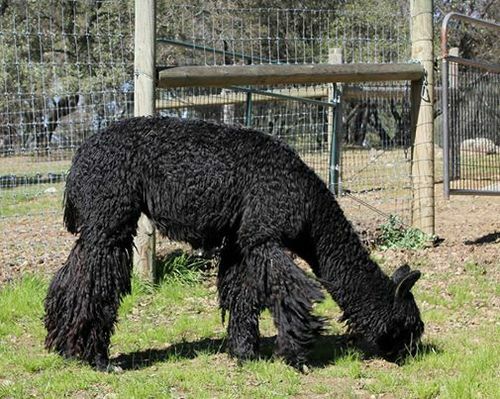 He will bring such depth to our colored herd.You cannot get any blacker than this male. His black locks drip with luster while holding their structure year after year. He has a very "typey" and proportionate frame as well as a lovely head and ear set. His conformation is perfect and his bite is flawless. The Judges agree as evidence of his phenomenal show record. 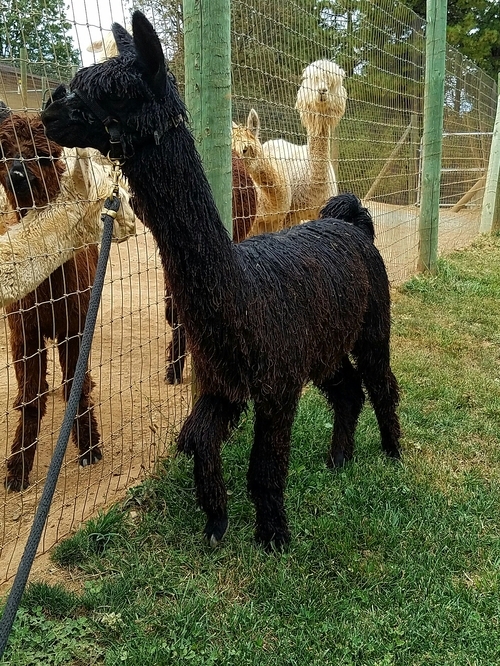 Unfortunately Blues missed his yearling year of showing do to his owners death, we are remiss about this as he was sure to have taken it by storm. 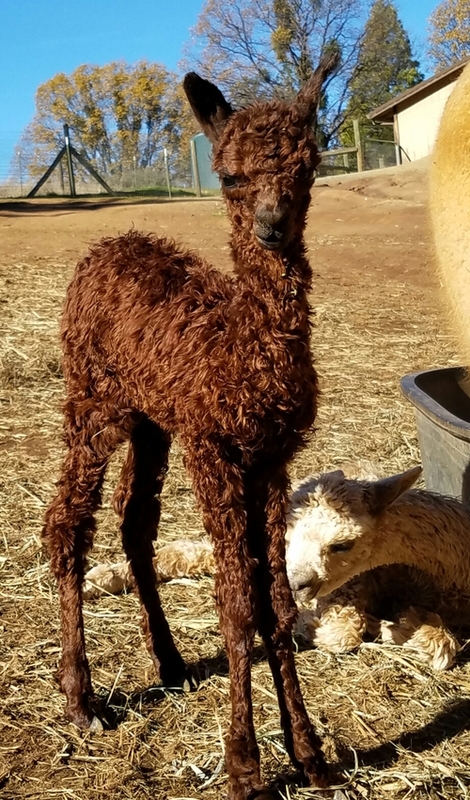 Blues already has champion cria in a variety of dark colors predominately black. 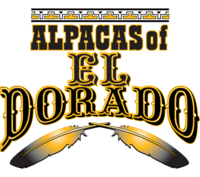 DISCOUNT BREEDING FEE FOR MULTIPLES!!!!!! !